This Aria Pro II bass was bought by one of my regular customers. 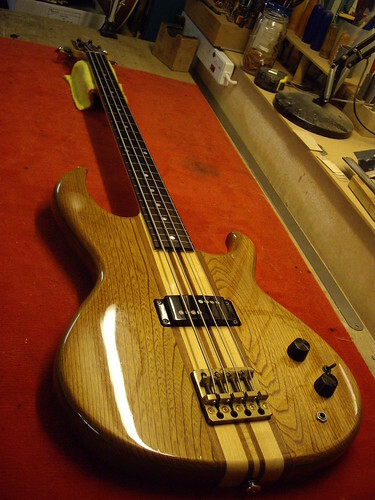 It was listed as a fretless long scale bass. To the horror of the new owner it was a fretted bass that had had its frets removed. After a bit of haggling with the seller he decided to keep the bass. 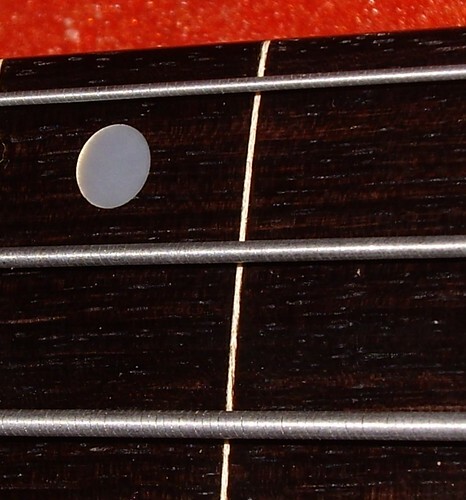 A new fingerboard would be too costly so it was decided that fret markers would be added. 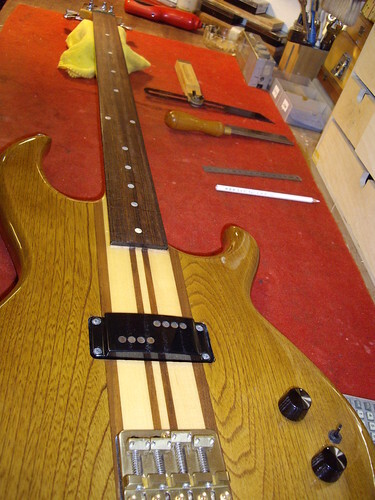 The fret makers were made up from lines of maple veneer. The guitar was set up with flat-wound strings to ease scoring on the fingerboard. Fret markers can be an practical option for bass players that are playing fretless for the first time.